It takes as input r,g,b (0-255). The background is cleared automatically, just before the draw() command, so if the background color is not changing, you could call this inside of setup() (once, at the start of the application). If the background color is changing, you can call this inside of update(). Sets the background color to a gradient.  It takes as input 2 ofColor() objects and a Gradient Mode. Must be called in the draw() function. Sets the background color using a hex color value. Begins render to pdf. OpenFrameworks allows rendering of 2D graphics to pdf via the ofCairoRenderer. ofBeginSaveScreenAsPDF is called before drawing. When done drawing call ofEndSaveScreenAsPDF() to output the file. Begin rendering to a PDF file. openFrameworks allows rendering of 2D graphics to pdf via the ofCairoRenderer. ofBeginSaveScreenAsPDF() is called before drawing. When done drawing call ofEndSaveScreenAsPDF() to output the file. Begin rendering to a SVG file. Call this to start drawing a new shape. Needs to be followed by a list of vertex points and lastly a call to ofEndShape(). Describes a bezier curve through three points of a shape. To be called between ofBeginShape() and ofEndShape(). Clears the color and depth bits of current renderer and replaces it with an ofColor. // Clears current screen and replaces it with myColor. Clears the color and depth bits of current renderer and replaces it with a grayscale value. // Clears current screen and replaces it with a grayscale value. Clears the color and depth bits of current renderer and replaces it with an RGB color. When drawing to the screen, ofClear(…) will clear the screen entirely. // Clears current screen and replaces it with red. // Screen will render as a flat color. When using the opengl renderer and drawing into an FBO, ofClear(...) will clear that buffer rather than the main screen. // Clears FBO buffer and replaces it with red. // No effect in current drawing screen. ofClear(…) is based on glClear (http://www.opengl.org/sdk/docs/man/xhtml/glClear.xml). Specifies a single point of a shape. The difference from ofVertex is that the line describing the edge of the shape between two points will be a curve as opposed to a straight line. The curve is automatically generated using the catmull from formula. To be called between ofBeginShape() and ofEndShape(). Draws a curve through a series of vertices stored as a vector of ofPoints. Should be called between ofBeginShape() and ofEndShape(). Disables the current blend mode. Turns off depth testing so rendering happens in draw order rather than by z-depth. Turning off depth test is useful for combining 3d scenes with 2d overlays such as a control panel. Turns off smoothing. Currently, this only works for lines. You can draw a filled object, and then draw the outline with smoothing enabled to get smoothing effects on filled shapes. Draws a bitmapped string, on screen, at point (x,y). \note ofDrawBitmapString wraps a glut function that uses glDrawPixels. On some graphics cards, you may discover that glDrawPixels is slow (or even, very slow). If so, you might want to investigate using ofTrueTypeFont with a small typeface, non-anti-aliased, as a suitable alternative. Please note, ofDrawBitmapString wraps a glut function that uses glDrawPixels. On some graphics cards, you may discover that glDrawPixels is slow (or even, very slow). If so, you might want to investigate using ofTrueTypeFont with a small typeface, non-anti-aliased, as a suitable alternative. Draws a circle, centered at x,y, with a given radius. Please keep in mind that drawing circle with different outline color and fill requires calling ofNoFill and ofSetColor for drawing stroke and ofFill and again ofSetColor for filled solid color circle. Draws a curve from point (x1, y1) to point (x2, y2). The curve is shaped by the two control points (x0,y0) and (x3,y3). Draws a 3-dimensional curve from point (x1, y1, z1) to point (x2, y2, z2). The curve is shaped by the two control points (x0, y0, z0) and (x3, y3, z3). Draws an ellipse from point (x,y) with a given width (w) and height (h). Draws a line between two points: (x1,y1),(x2,y2). Draws a rounded rectangle from the given rectangle using given radius. Draws a rounded rectangle from the given rectangle using different given radius for each of the corners. Draws a rectangle from point p with a given width, height and radius of rounded corners. Draws a rounded rectangle from point X, Y, at depth Z with a given width, height and radius of rounded corners. Draws a rectangle from point X, Y with a given width, height and radius of rounded corners. Draws a rectangle from point X, Y, at depth Z with a given width, height and radius of rounded corners. Draws a rounded rectangle from point X, Y, at depth Z with a given width, height and different radius for each rounded corner. Draws an rectangle from point p, with a given width and height. Draws an rectangle from the given rectangle. Draws an rectangle from point X, Y at depth Z with a given width and height. Draws a rectangle from point x,y with a given width and height. Draws a triangle, with the three points: (x1,y1),(x2, y2),(x3, y3). Turns on alpha blending (which is on by default since OF version 0.8.0). It simply wraps opengl commands that enable blending, and turn on a common blend mode. Enables anti-aliasing (smoothing) for lines. Turns on depth testing so rendering happens according to z-depth rather than draw order. Turns on point sprite. Textures can be mapped onto points. By default, point size is 1pt. So texture is not shown correctly. You can change point size by glPointSize(GLfloat size). Turns on smoothing. Currently, this only works for lines. You can draw a filled object, and then draw the outline with smoothing enabled to get smoothing effects on filled shapes. Terminates draw to pdf through ofCairoRenderer and outputs the pdf file. Terminates draw to PDF through ofCairoRenderer and outputs the file. Terminates draw to SVG and outputs the file. This tells the program that your shape is finished and that it should now draw it to the screen. If you set the optional 'bClose' argument to true it will automatically close your shape for you. 'bClose' is set to false by default. This function must be called otherwise you will not see your shape. This tells the program that your shape is finished and that it should now draw it to the screen. This function must be called otherwise you will not see your shape. bClose If you set it to true it will automatically close your shape for you. Default false. Draw shapes filled with the current draw color. Returns the current background color as an ofColor. Query the current (oF internal) Transformation Matrix state. Query the current (oF internal) Orientation Matrix state. \note The matrix returned is the matrix openFrameworks uses internally to calculate the (final, oriented) projection matrix as it is passed on to the GPU. Tells you if rect drawing mode is set to drawn from the center or drawn from the top left corner, as set with the ofSetRectMode() function. Allows you to draw multiple contours within one shape. Call this between ofBeginShape() and ofEndShape() to create a new contour for your shape. If you set the optional argument 'bClose' to true then the previous contour will be automatically closed. 'bClose' is set to false by default. Draw shapes as outlines with the current draw color. ofPopMatrix() restores the prior coordinate system. Restores the prior coordinate system. ofPopStyle() restores the prior style settings. It needs to be called after ofPushStyle. Restores the prior style settings. It needs to be called after ofPushStyle. ofPushMatrix saves the current coordinate system allowing users to develop specific movements in some graphic objects. ofPopMatrix needs to be called after. In the following example we only rotate the square. Produces a rotation around the vector (vecX,vecY,vecZ). All graphics drawn after ofRotate is called are rotated. Use ofPushMatrix() and ofPopMatrix() to save and restore the unrotated coordinate system. degrees Specifies the angle of rotation, in degrees. Produces a rotation around the X-axis of our coordinate system represented by the vector (1,0,0). Produces a rotation around the Y-axis of our coordinate system represented by the vector (0,1,0). Produces a rotation around the Z-axis of our coordinate system represented by the vector (0,0,1). Scale along the X, Y and Z axis with the same amount. Rectangle width will be now 20px heigh! Sets the background clearing function to be auto (default) or not. If non-auto, then background clearing will not occur per frame (at the start of draw) but rather, whenever ofBackground is called. Sets the background color. It takes as input r,g,b (0-255). The background is cleared automatically, just before the draw() command, so if the background color is not changing, you could call this inside of setup() (once, at the start of the application). If the background color is changing, you can call this inside of update(). Sets the resolution for the ofDrawCircle command. By default, the circle is 22 points, but if you need to draw larger circles, you can adjust the resolution using this command. all circles are cached in opengl using a display list for optimization purposes. Sets the draw color with r,g,b, 0-255. 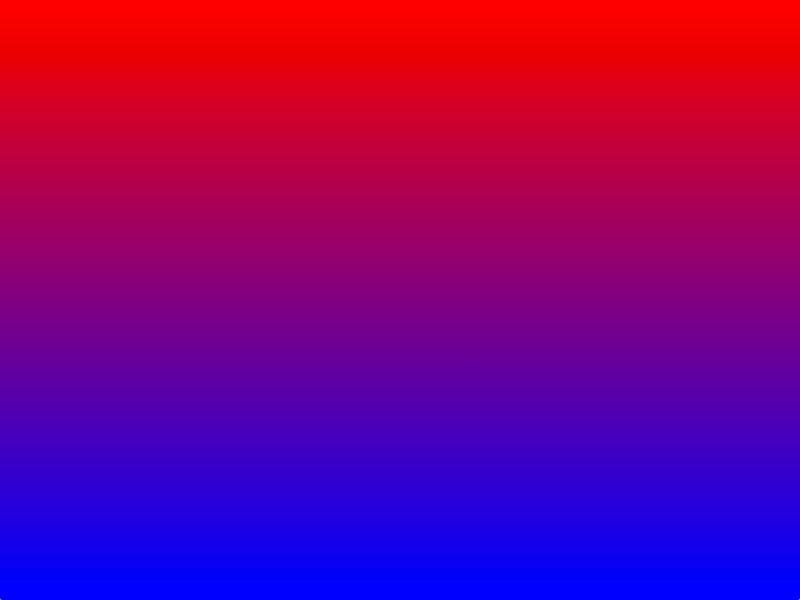 For example, red (0xff0000) would be: ofSetColor(255,0,0). This affects not only the color of shapes drawn with ofDrawRectangle(...), ofDrawCircle(...), etc, but also the tint of images and textures. Set depth testing on or off to either sort by z-depth (true) or draw order (false). OF_BITMAPMODE_SCREEN: this is the default mode. It projects the 3d prosition onto the screen so the letters always look the same size but can be positioned in any 3d coordinate. OF_BITMAPMODE_VIEWPORT: does the same as screen but uses the current viewport instead of the full window if it's different. OF_BITMAPMODE_MODEL_BILLBOARD: uses real 3d coordinates but the text always faces the camera.  OF_BITMAPMODE_SIMPLE: only does 2d and the z coordinate is just disacarded, so if z is not 0 the position in which it'll be drawn will be wrong. Sets the draw color with a hex value. Sets the draw color with r,g,b, passed in as a hex. Hex is a conventient way to write colors. ofSetLineWidth sets the width of the ofDrawLines called after. Sets the drawing behavior for overlapping parts of the same polygon. Sets the mode for drawing rectangles and other rectangular objects, if they are corner aligned, or drawn so that the x,y position is the center of the rectangle. possible options are OF_RECTMODE_CENTER and OF_RECTMODE_CORNER. This affects not only how ofDrawRectangle() objects are drawn, but also ofTexture (and therefore ofImage) objects. We use ofSetStyle to set the current style of the ofGraphics. Parameter style contains information of the graphics style such as ofColor, ofFill, polyMode and others. See ofStyle for more details. ofTranslate produces a translation by (x,y,z) vector of our coordinate system. The call of ofTranslate modifies graphics positions. Use ofPushMatrix and ofPopMatrix to save and restore the untranslated coordinate system. ofTranslate(point);     // move the coordinate system to position of point and make that zero. ofTranslate(100, 100, 0);   // move the coordinate system to position x 100 and y 100 and make that zero. Specifies a single point of a shape. To be called between ofBeginShape() and ofEndShape().